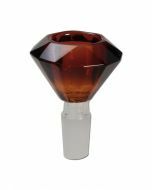 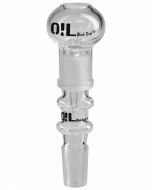 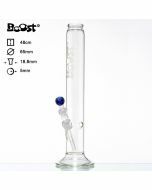 The Glass Boost Bong 'Cane' With Ice Nods Shaft is a good-looking ice bong with fantastic value for money. 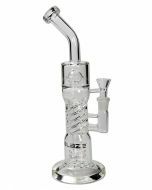 What makes this bong special is the design with ice notches that give it a unique look; but they're also functional. 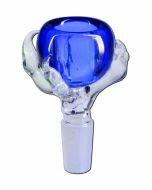 There are three ice notches located just above the water cylinder chamber to hold ice cubes in place and prevent them from damaging the downstem. 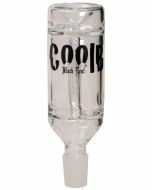 You can fill up the entire tube with ice cubes, which will drastically improve the smoking experience by providing a cooler, smoother and more tasteful smoke. 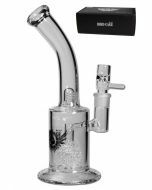 But of course you can also use this ice bong without any ice! 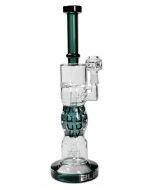 If you just want a simple and quick bong hit, fill it up with some water and you're good to go! 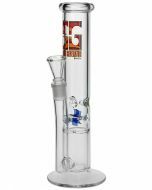 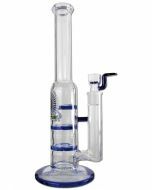 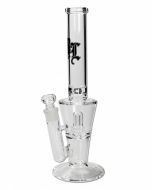 The height of this bong is 49 centimeters and it comes with a downstem and bowl with SG19 (18,8mm) attachments. 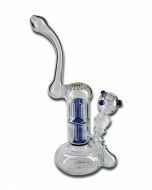 There is a kickhole just under the ice notches to draw out and inhale all of the smoke at once. 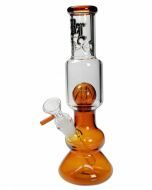 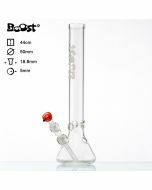 Buy this genuine BOOST bong directly from Bongify, the #1 Online Bong Shop of Europe!